Richard is a political economist specializing in science, technology and innovation policy and strategy. Currently he is Professor and Canada Research Chair (Tier 1) in Science and Technology Policy in the Science, Technology and Society and Society at the University of Calgary. 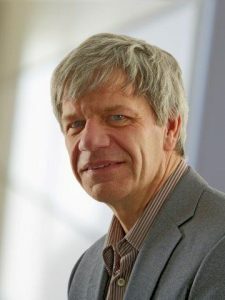 Prior to this, he was Leader of the Network Economy Programme and later Senior Advisor to the Science, Technology and Innovation Programme at the Netherlands Organization for Applied Scientific Research TNO, one of Europe’s largest contract research laboratories. Previous to this, he was Senior Fellow in the Science Policy Research Unit (SPRU) at the University of Sussex. Before turning his attention to academic and applied research activities he was active professionally in the international music industry. Adam is an adjunct professor and Associate Director at the Centre for Policy Research on Science and Technology (CPROST), at Simon Fraser University in Vancouver, BC. Before joining CPROST in 1995 he was a career civil servant in the federal government of Canada involved in S&T policy issues at the Treasury Board Secretariat and Industry Canada. At CPROST his research activities have centered on the analysis of science, technology and innovative activities in both the public sector and the private sector. 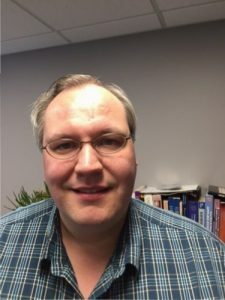 He is the leader of a network of researchers in innovation studies in western Canada, and recently edited a book on regional innovation systems in Canada – “Innovation, Institutions and Territory: Regional Innovation Systems in Canada” . Entrepreneur and educator with 14 years of experience and a passion for innovation and entrepreneurship. Loves teaching and public speaking, and has presented to audiences ranging in size from five to 500 people on over 40 occasions in six countries. Currently leads the development of a university program that provides an entrepreneurial training ground and launch pad for creative 17-30 year old entrepreneurs in all disciplines, and was Vice President at a technology start-up. Brings excellent leadership and people-skills, a strong technical background and experience that includes: strategy development; business model design; business and product planning; facilitation; marketing research; and industry and competitive analyses. Has published 21 papers in the public domain and 19 proprietary technical, concept-of-operations and business reports. Has had his research supported by NSERC on three occasions and by other awards on nine occasions. Co-founded the Innovation Department for a Canadian advanced technology company, has experience in product and project management, and has recruited and developed early-stage teams. Has won and been nominated for several awards for best and most innovative teaching. Recently gave an invited talk at Google Waterloo on “Creating Really Big Value” through entrepreneurship education (http://www.youtube.com/watch?v=wX2Zht4GJ1c). Dr. Amanda Williams is an Adjunct Associate Professor for the Faculty of Business and Communication Studies in Calgary, Alberta. 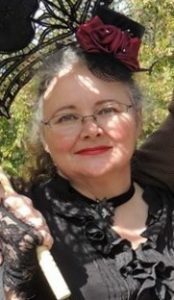 She teaches theory, research methods, and media history. Her previous and current research projects include topics such as the role of metaphor in broadband policy, Massive Open On-line Courses (MOOCs), discourses of sustainability and the Alberta Oil Sands, entrepreneurship, and student identity. 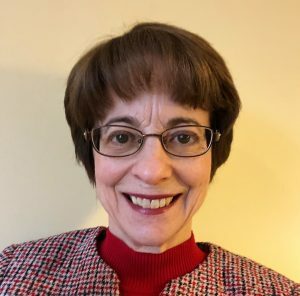 Her refereed publications have appeared in Journalism, the International Journal of Technology, Knowledge and Society, the International Electronic Journal for Leadership in Learning and the Journal of Computer-Assisted Learning. She also has professional experience as an employee of the federal government and with the United Nations in policy/strategic communication roles. Dr. Anita Arduini is currently Director with Portfire Associates, a consulting company to the Energy and Petrochemical industrial sectors. Previously, she worked as Program Director with CMC Research Institutes (Carbon Management Canada) and as the Executive Director Research for the Schulich School of Engineering at the University of Calgary. 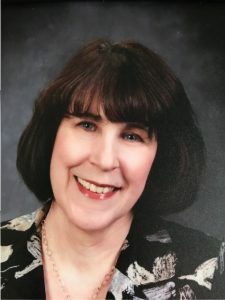 She has held numerous industry positions spanning a 25 year period including Technology Business Development Manager at NOVA Chemicals Corporation, Research Scientist at Canadian Fracmaster and Development Specialist at Union Carbide Canada. 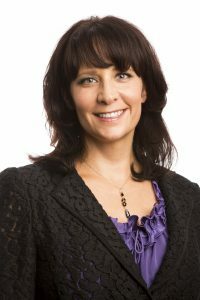 She has been a Member of the Advisory Board of the National Research Council, Institute for Chemical Process and Environmental Technology and a Member of the Review Committee of the Alberta Innovates Technology Futures, Industry Funding Programs. She is currently a member of the Chemical Institute of Canada, the American Chemical Society and the Society of Petroleum Engineers. She received a B.Sc. (Honours Chemistry) from the University of British Columbia and a PhD (Inorganic Chemistry) from the University of Alberta. Brian Wixted, B Admin, Grad Dip App Sci., Ph.D.
Brian is a Visiting Fellow with CPROST at Simon Fraser University in Vancouver and the founder of Technomics Research. He has degrees in commerce and a Graduate Diploma of Applied Science. During his employment with the Australian Commonwealth Public Service he worked on science, technology and innovation indicators analysis (1989-1995) and agricultural and resources science and innovation policy (1995-2000). Between 2000 and 2004, Brian was with the AEGIS research centre at the University of Western Sydney, where he was principally responsible for its data analysis of innovation related issues. In 2005 he completed his doctorate, which examined the international linkages between industrial clusters. Bruno is an industrial engineer specializing in technology and innovation management, strategy and cluster dynamics. He has more than 10 years of direct managerial experience in the energy sector (including oil and gas and electricity) and other resource based sectors. More recently, he worked for a research park and firm incubator involved in a number of high tech start-up projects. Currently, he is Adjunct Professor and Research Associate with the faculty of Business Administration and the Centre for Policy Research on Science and Technology (CPROST) at Simon Fraser University, and Business Development Executive at ELECTROBRAS, the major Brazilian National Electricak Utility. Chad is an Assistant Professor at the Haskayne School of Business in the area of Management Information Systems and holds a cross-appointment with the Faculty of Medicine’s Department of Community Health Sciences where he is the Research and Innovation lead with the Health Innovation and Information Technology Centre (HiiTeC). Chad’s research interests focus on the impact of information technology on professional practice. In particular, this work considers the implications for design and innovation within a professional environment and the key entrepreneurial activities associated with the use of technology within the professional contexts. His professional experience includes technology benchmarking, commercialization and the strategic deployment of technology to support collaborative research. Chad has published in leading journals including Entrepreneurship Theory and Practice, Journal of Business Venturing, IEEE TRansactions on Software Engineering and the Ivey Business Journal. Charles is the Edward S. Rogers Sr. Research Chair in Media Management and Entrepreneurship, and Associate Dean, Scholarly Research and Creative Activities, Faculty of Communication & Design at Ryerson University in Toronto. I currently teach and conduct research on innovation management and policy. His research interests have to do with product innovation, media audiences, customer value and experiential consumption of media products, innovation in digital experience goods, and labour and entrepreneurial startups in creative industries. Denzil Doyle, C.M., B.Sc., D.Eng.,F.E.I.C. Denzil is Chairman of Doyletech Corporation, an Ottawa-based company specializing in providing consulting services to entrepreneurs, investors, policy makers, and economic development authorities. Although trained as an engineer, he has spent most of his career in the business world. From 1963 to 1981, he directed the affairs of Digital Equipment Canada, growing it to annual sales in excess of $160 million. He formed Doyletech Corporation in 1982, and provided services to all provincial and the federal government. In 1982, he also co-founded Instantel Inc. an Ottawa based supplier of electronic instrumentation. From 1995 to 2005 he served as Chairman of Alliance Capital ventures Inc. an Ottawa based venture capital firm. He is the author of several business articles and books. In 2005 he was invested as a Member of the Order of Canada. Don is an independent consultant based in Ottawa, Canada. His consulting projects typically involve research, analysis and policy development on economic, social and governance issues related to telecommunications, the Internet and ICTs. From 1992-99, he headed the Strategic Planning and External Affairs Unit of the International Telecommunication Union in Geneva, Switzerland. Prior to joining the ITU, he served in a number of senior policy and planning posts in the former Canadian Department of Communications. Mr. MacLean has a B.A. in Economics and Political Science from McGill University and did graduate studies at the Institut d’Etudes Politiques (Paris) and Princeton. Éric is President of Science-Metrix, a Canadian consultancy that specializes in the measurement and evaluation of science- and technology-related activities. His core function in the company is to analyze and formulate science, technology and innovation policy and strategy. He also teaches quantitative methods (scientometrics and technometrics) to students in the Science, Technology and Society program at the Université du Québec à Montréal and is an associate researcher at the Observatoire des sciences et des technologies as well as at the Centre interuniversitaire de recherche sur la science et la technologie. He has research expertise in the following areas: health science and technology, information and communication technology, energy and transport. Geoff Gregson, LLM, MBA, Ph.D.
Geoff is the JR Shaw Research Chair in New Venture and Entrepreneurship at the Northern Alberta Institute of Technology (NAIT) in Edmonton, AB and is Associate Dean, Research in the JR Shaw School of Business. He holds PhD in Management, LLM in Intellectual Property Law and MSc in Social Science from the University of Edinburgh (UK), MBA from the Haskayne School of Business, University of Calgary and BPE from the University of Alberta. Geoff has led projects funded by the Economic and Social Research Council (ESRC), British Academy, Technology Strategy Board, Scottish Executive, Marie Curie (European Commission) and Santander Bank. His areas of research cover entrepreneurship, technology commercialization, SME growth, innovation (strategy, systems, policy and evaluation) and equity risk capital. Geoff holds a number of external appointments that include Canadian ambassador for the Regional Studies Association (RSA) and Visiting Researcher with the Institute for the Study of Science, Technology & Innovation (ISSTI) at the University of Edinburgh. Prior to joining NAIT, he was a director of the Centre for Entrepreneurship Research at the University of Edinburgh. Ian McCarthy, B.Eng., M.Sc., Ph.D.
Ian is currently Canada Research Chair in Management of Technology at the Faculty of Business, Simon Fraser University in Vancouver. His academic career began in engineering where he researched and taught engineering management and operations systems design. Since completing his PhD he has concentrated on understanding the various operational and technological configurations (practices, processes and structures) that exists in different types of industrial organizations. This has included research on managing operational complexity, mass customization, decision making in new product development, and strategies for drug discovery. Gordon is Assistant Professor in the Faculty of Extension at the University of Alberta. From 2003-2006 he was a Lecturer in the Department of Media and Communications at the London School of Economics and Political, where he was Director of the Graduate Programme in Media and Communications Regulation and Policy. Gordon’s research looks at the development of electronic communications networks from a combined social and technical perspective, with the aim of promoting innovation through expanded public understanding of and participation in policymaking. His primary focus is with the long term planning and management of critical infrastructure systems, especially those that support public alerting and emergency management activities. 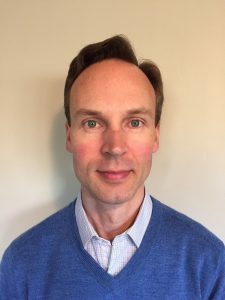 He is currently involved in the development and testing of an all-hazards warning system in Sri Lanka, in addition to having published reports for the Canadian government on tsunami warning and emergency communications. 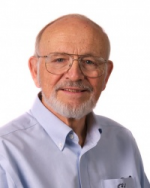 His wider research interests include innovation in mobile voice and data systems, especially with respect to regulatory concerns such as spectrum policy and management, telecom reform, technical standardization, and public safety. Jacek Warda, M.A. Economics, D.P.A. Since 2003 Jacek has been President and Founder of JPW Innovation Associates Inc, a research and advisory practice specializing in science and technology policy. He is a internationally recognized expert on the R&D tax treatment and consultant to the OECD. His expertise also includes benchmarking of innovation systems and evaluating collaboration of the private sector with universities and government research laboratories. He is a former Principal Research Associate with the Innovation and Technology program and Manager, Innovation Council at The Conference Board of Canada. He resides in Ottawa. Jerry is the President of Razorquest inc., consulting to organizations focused on growth and increasing their position in today’s competitive marketplace. Razorquest services include investor readiness, growth strategy, executive mentorship and organizational transformation. Mr. Lemmon has a diversified background, consulting to corporations on executive management and corporate leadership as a Director at the Banff Centre for Management. He has also held the position of Director, Advanced Technology Centre for The University College of the Cariboo where his main focus was business incubation, and evaluating technology and its commercial viability. Prior to accepting his role at The Banff Centre, Mr. Lemmon was a Marketing Manager with Monsanto Canada Inc. Mr. Lemmon is also a Fellow with THECIS (The Centre for Innovation Studies), where he contributes regularly to the advancement of innovation and technology commercialization in Alberta. Lloyd is a professor in Strategic Management & Organization at the University of Alberta School of Business. He is also Academic Director for the Centre for Entrepreneurship and Family Enterprise. His research interests include new venture creation, technology commercialization, venture capital finance and family enterprise. Marc has 25 years of technical and business development experience in the chemicals and energy industries and consults for corporate and government clients. Michael is Associate Professor in the School of Business at the University of Alberta. Professor Lounsbury’s research has a general focus on the relationship between organizational and institutional change, technological and entrepreneurial dynamics, and the emergence of new industries and practices. He studies topics such as technology, entrepreneurship and professionalism in varied contexts such as the fields of technology transfer, solid waste, and finance. As a research officer at the Canadian National Institute for Nanotechnology, he is currently investigating the co-evolution of nanoscience and nanotechnology. 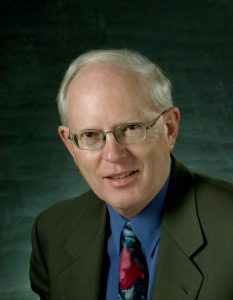 Professor Lounsbury serves on a number of editorial boards and his work has been published in top tier peer-reviewed journals such as Administrative Science Quarterly, Academy of Management Journal, Academy of Management Review, Strategic Management Journal, and Organization Studies. In addition, he is the series editor of Research in the Sociology of Organizations published by JAI/Elsevier and co-executive editor of Journal of Management Inquiry published by Sage. At the University of Alberta, he is the Coordinator of the Technology Commercialization Specialization and Director of the Technology Commercialization Centre (TCC). Murray is Director of Internal Audit at Fortis Alberta. He specializes in the design and implementation of effective risk, internal control and governance practices. Paul is President of VisionGain Consulting. Prior to this he was Vice-President, Research and Technology at NOVA Chemicals, with a diverse career in the chemical industry in Canada and the United States. He is also a Board Member of ASRA [Alberta Research and Technology Authority] and the National Research Council of Canada and Chair of the ASRA Task Force on Sustainability/Capacity to Innovate, and a Member of the Judging Panel, Alberta Science and Technology [ASTech Awards] Awards. He has also held positions as Chair of the Canadian Plastics Industry Association [CPIA]; Chair of the Innovation Management Association of Canada [IMAC]; Member, University of Waterloo Advisory Council; Member, Engineering Associates Committee, University of Calgary. Patrick Feng, B.Arts Sci, M.S.,Ph.D. Patrick was an assistant professor in the Faculty of Communication and Culture at the University of Calgary. Prior to moving to Calgary he held a postdoctoral fellow in the School of Communication Simon Fraser University. His research focuses on the social implications of new technologies, and in particular on the politics of designing and implementing technical standards. He has investigated the work of international standards organizations in developing scientific and technical standards for information technologies and health technologies. He also done work in the area of science and technology policy, and is particularly interested in how ordinary citizens at could be better represented in scientific and technological policy-making. 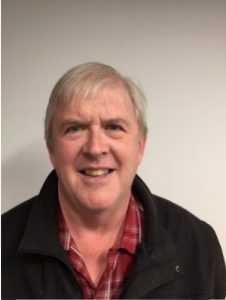 Peter has more than 25 years industrial experience in research, marketing, technical management, new application development, new business development and strategic planning. He is Executive Director of THECIS. 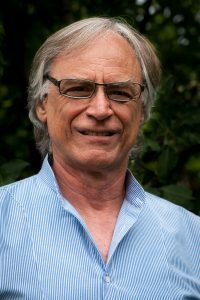 Peter is a Professor and NSERC/SSHRC Chair in managing Knowledge-based Agri-food Development at the University of Saskatchewan. His research concentrates on intellectual property management for agricultural biotechnology, trade and marketing issues relating to GM foods and development strategies. 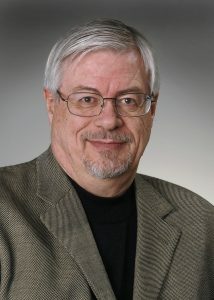 He is also Director of the U. of S. College of Biotechnology, a member of the Canadian Biotechnology Advisory Committee, senior research associate with the Estey Centre for Law and Economics in International Trade and co-principle investigator for Genome Prairie’s $3.3 million, 4 -year Genomics, Ethics, law and Society Project. Rob is currently the founder and President od Ellipsis Ventures, a management consulting firm that specializes in technology commercialization in the ICT, CleanTech and healthcare sectors. As part of his practice, Rob holds the position of Director of the EnviroTech Solutions program at ClimateChange Central. Rob’s passion for entrepreneurship and developing new business is evident in his previous roles. In addition to founding Ellipsis Ventures and Stratavera Partners, he is also helping to start a few early stage technology firms. In the past, Rob has served as Vice-President, Operations with Calgary Technologies inc. and has worked with TransCanada in various technology development roles. Rob is a Professional Engineer with a civil engineering degree and an MBA from Queens University as well as a Masters in Environmental Design from the University of Calgary. Scott is an expert on the management of innovation and entrepreneurship in clusters and strategy for knowledge-based organizations working in international markets. He has experience with consulting, university research and teaching, postdoctoral mentoring, international research consortia, government policy and the setting up of entrepreneurial firms, in a variety of settings including Canada, the US, Europe, Middle East, Africa and Latin America. Originally an engineer, and then with a brief period in environmental science, his doctorate is in technology management and policy, from Université de Montréal. Anthony is an Assistant Professor in the Strategic Management and Organization Department at the Alberta School of Business. Tony holds a Doctor of Business Administration in Information Systems from Boston University’s Graduate School of Management where he studied how some of the world’s top technology entrepreneurs identify and develop breakthrough innovations. Prior to his doctorate, Tony received an M.S. from MIT Sloan, where he researched the impact of patent constraints on innovation, and also assisted in the design of the Intellectual Property Owners Association and the Licensing Executives Society surveys. He also holds an MBA in Finance from University of British Columbia, and a B.Sc. Hons. in Biochemistry from the University of Alberta. Tony was a patent licensing officer in Canada and the US, most recently at Harvard Medical School, and has consulted with numerous U.S. SBIR grant companies on patent licensing and technology strategy. His research examines how highly novel information is shared and assessed in uncertain environments. He conducts related work on problems of uncertain property rights and patents. Peter Josty, Executive Director, THECIS. Calgary. Richard Hawkins. Former Chair, Science and Innovation Policy, University of Calgary. Mark Fedorak. President and CEO, Xanantec Technologies Inc. Edmonton.